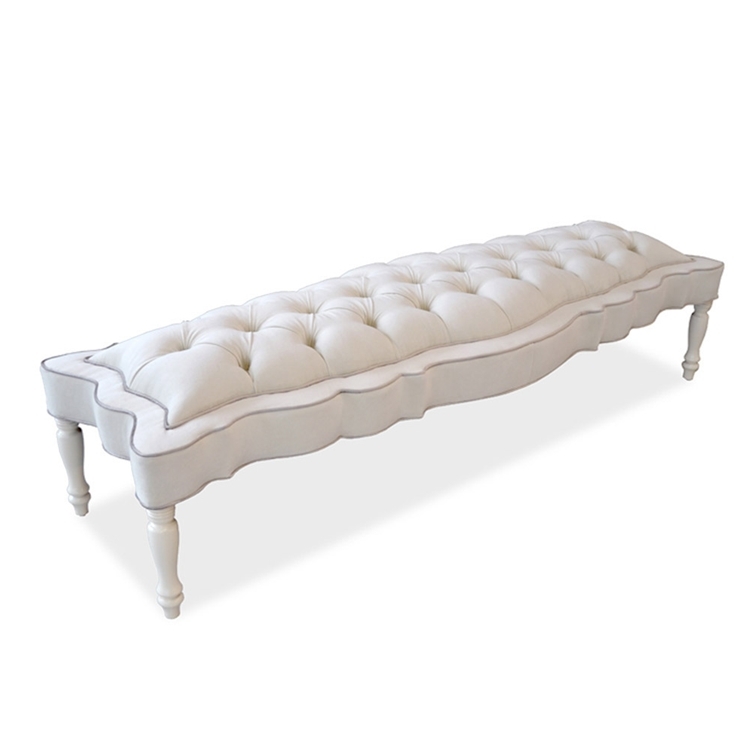 REGAL "ANTIQUE WHITE" WITH REGAL "GREY" WELT & BUTTONS, AND CREAM LEGS. The bustling city of Hollywood is fueled by the talent and success of its habitants. They are all here for the same reason, to make it big. Not only does this Pantages Bench embody all of the charming elements that Old Hollywood does, but it screams success. Item sold as shown online. Call 323.256.2800 or email info@hautehousehome.com for custom options.